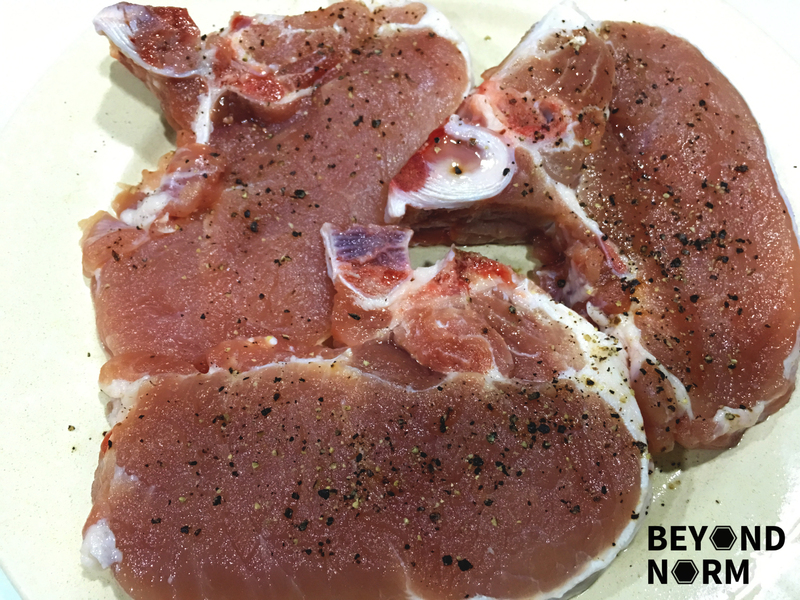 Apply salt all over the pork chops and let them rest for 5 minutes. Then rinse and pat dry. 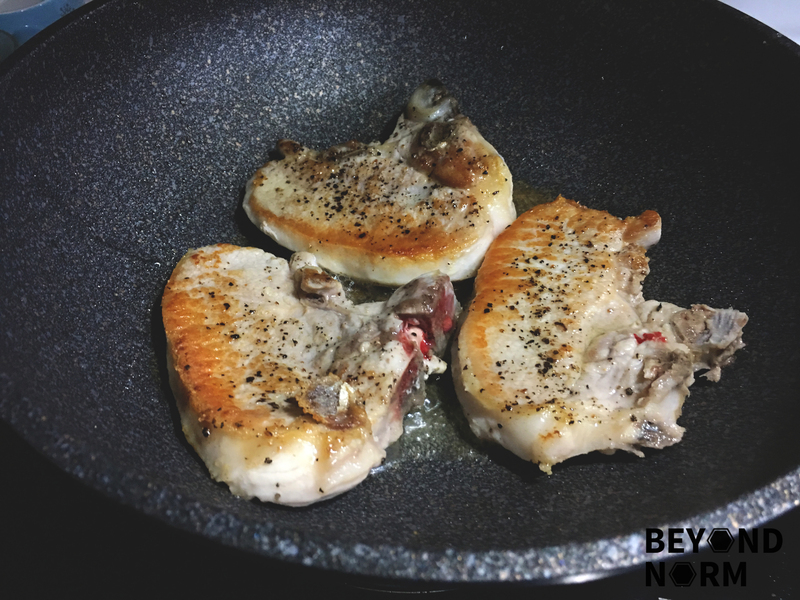 Sprinkle both sides of the pork chops evenly with pepper and salt. Heat oil in a non-stick pan on medium low heat. Add pork chops and cook for about 3½ to 4 minutes per side or until desired doneness. 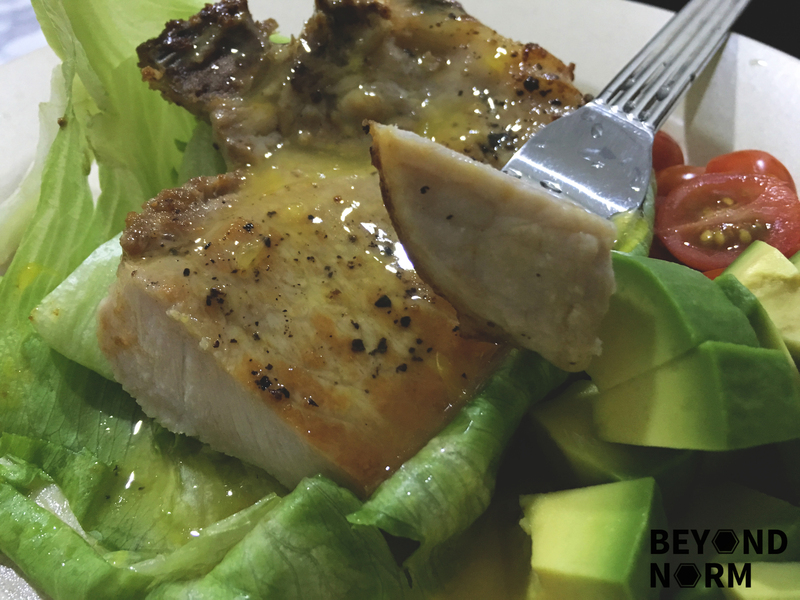 Place the pork chops onto a serving plate and let them rest for 5 minutes before serving. Mix juice, zest, sugar and corn starch in a small pan until well blended. Then reduce heat to low; simmer for 1 minute or until thickened. Spoon sauce over pork chops and serve. Garnish with your favourite greens/salad. That’s great! Feel free to share your results with us here or on our Facebook page. 🙂 Happy cooking!